With the proficiency of this field, we are capable of presenting an extensive range of Student Wooden Desk. Two Seater and Three seater Desk made in CRC Heavy Round Pipe, Top, Seat, Back & Shelf made of plywood and sunmica. 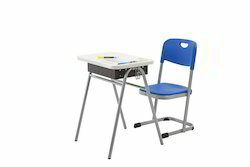 We have been widely appreciated in the market for offering good quality Study Table to the our customers. this range of the tables is made available by us in varied designs, finishes and other specifications. 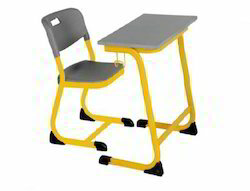 We have gained rich industry experience for offering a wide array of Student Table to our valued clients.